It was one of the roughest boat rides we’ve had in recent memory. On our way to the first destination of our island-hopping tour that Tuesday morning we had to hold on to the sides of the wooden outrigger boat as the powerful swells kept smashing into our faces. Leo was even considering putting on the goggles we normally use for snorkeling just to be able to see ahead. But for some reason the ride wasn’t as scary as one would think. After a few minutes of battling the strong waves our boat came to an abrupt stop a few meters off the rocky mass of Sombrero Island. This hat-shaped island (sombrero is Spanish/Filipino for hat) lies less than a kilometer from the northwestern tip of Maricaban Island – the island that is part of Tingloy town in Batangas. Starting from our home stay at Masasa Beach that morning the boat ride took less than 30 minutes. Sombrero Island has a small white sand beach at its eastern side but our boat anchored off the western side, joining several other boats. Turns out that snorkeling is the primary reason for visiting this island and we were soon gazing in wonder at the beautiful arrays of corals and numerous varieties of colorful reef fishes. We’ve just experienced the incredible underwater marine life at Port Barton a month before and were prepared to be underwhelmed by the snorkeling here. But, to our surprise, the marine life here is comparable to Port Barton’s and no wonder – the waters here are part of the marine ecosystem that includes Anilao and Verde Island. Anilao in particular has some of the best underwater photography in the world and also has a large number of species of corals, perhaps more than anywhere else in the planet. After another struggle with the waves we eased into a cove of creamy white sand near the northwestern end of Maricaban Island. The northwestern end, marked by a rocky cliff, is called Sepoc Point – and the nearby beach Sepoc Beach. However Sepoc Point and Beach are owned and managed by Eagle Point Beach and Dive Resort in Anilao and one has to arrange with this resort to get there. Our boat therefore had to dock at the next cove south of Sepoc Beach. The cove immediately south of Sepoc Beach; note the two small caves in the center. This cove and the other white sand coves to the south are somehow collectively called Sepoc Beach in other blogs although we did see one blog giving these 4 coves the collective name Apat na Lagusan. This stretch is longer than Sepoc Beach and is more fascinating to explore so we spent the majority of our time here. Shallow crystal clear waters at Apat na Lagusan. Sepoc Point and its cliff is clearly visible in the left background. Shallow crystal-clear waters and creamy sand characterize these coves but probably the most interesting feature of this area are the small caves at the base of the cliffs and the rock formations and natural pools at the junction of the first and second coves. The cave tunnel on the left is usually explored by visitors but a sea snake that was spotted swimming inside made it off-limits for the time being. We were supposed to enter one of the caves at the point separating the first two coves but a boatman stopped everyone from exploring it; a poisonous sea snake was spotted swimming inside. Visitors had to be content with selfie shots at the entrance to the cave. A beautiful natural pool at the junction of the first two coves just south of Sepoc Point and Beach. No one could prevent us and other visitors from frolicking at the natural pools or posing for photos at the rock formations rising out of the water, however. While mildly disappointed at not getting to enjoy Sepoc Beach and climbing up the cliff at Sepoc Point, the pools and rocks were a wonderful surprise. South of Sepoc Beach and Apat na Lagusan is Mang Oscar’s Beach, another nice stretch of white and beach and emerald waters. Again this is an exclusive beach so our boat couldn’t dock there. Instead we headed south of Mang Oscar’s to an area off a rugged cliff called Kapatingan. The Filipino/Tagalog root word for this place – pating – is literally translated shark, but no there are no sharks in the vicinity, we were assured. The area is perfect for swimming with shallow crystalline waters and a semi-enclosure of rocks protecting the natural pool from big waves. We were supposed to motor off for a point several score meters off Masasa Beach for another snorkeling experience – and a chance to observe sea turtles – but feeling tired or apprehensive about the still-strong waves we decided to end the tour and head off to our home stay for lunch. There’s one boat from Anilao port that arrives at Pirasan or the port area near Masasa Beach daily. When we arrived at Anilao port, we learned that this boat leaves for Pirasan sometime between 1 and 2 PM (the time is not really fixed). However, there are other boats that leave at various times in the morning and afternoon for Tingloy port. We took a boat that was scheduled to leave at 11 AM, got off at Tingloy port, then road a trike for Pirasan. From there Larry of Tita Precy’s arranged a small boat to pick us up for the short ride to the resort. We’ve learned that many other home stays do the same with their visitors. The best time to go to Masasa is from December to June. Take note that Masasa Beach can get really crowded on weekends and during the summer months. There are no ATMs and the establishments are not able to accept credit cards so bring all the cash you will need. There are some stores and carinderias that sell food but these are limited and especially so during the off season. Many visitors shop for food at the markets at Anilao or Talaga Port (which we did), bring them along on the ferry ride to Masasa and have them cooked at their home stay. Electricity is not available for 24 hours here, with brownouts regularly scheduled for 12 AM. Some transient homes though will provide 24 hour electricity for an additional fee through generators. Island hopping tours can usually be arranged with homestays at Masasa Beach. Boatmen also hang out under the coconut palms at Masasa Beach offering island-hopping tours. Standard rate for a small boat that can accommodate 3-4 people is P1500. It’s also possible to rent a larger boat (good for 10 people) at Anilao or Talaga port for P4500. In the latter case one does not have to stay overnight at Masasa Beach. 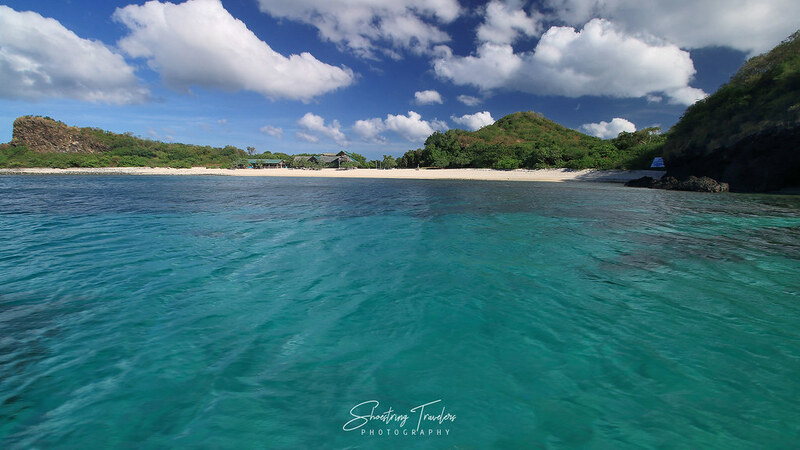 Posted in Batangas, Travel PhilippinesTagged accommodations, Apat na Lagusan, Batangas, beach, coves, featured, island-hopping, Mang Oscar's Beach, Masasa Beach, natural pool, Sepoc Beach, Sombrero Island, TingloyBookmark the permalink. I knew it! Naloko yata kami ng boatman, we told him to take us to Sepoc Beach, and he dropped us to an unknown pebblish beach. Di rin namin nakita yung natural pool! Now I’m jealous. Haha. Reason enough to come back? Sepoc Beach itself is not accessible to non-guests of Eagle point Resort in Anilao but there’s many more coves nearby. 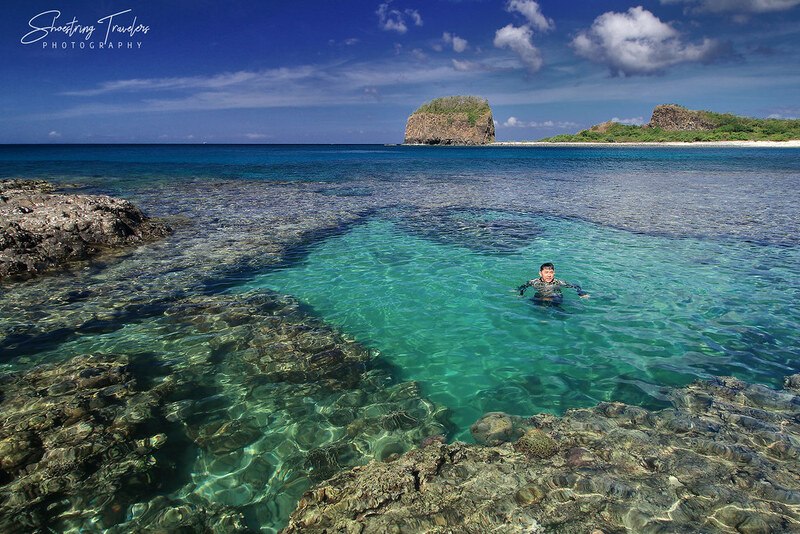 Sepoc beach, one of the best snorkling grounds. I remember may cemetery jan and we used to joke about it: tepok beach.